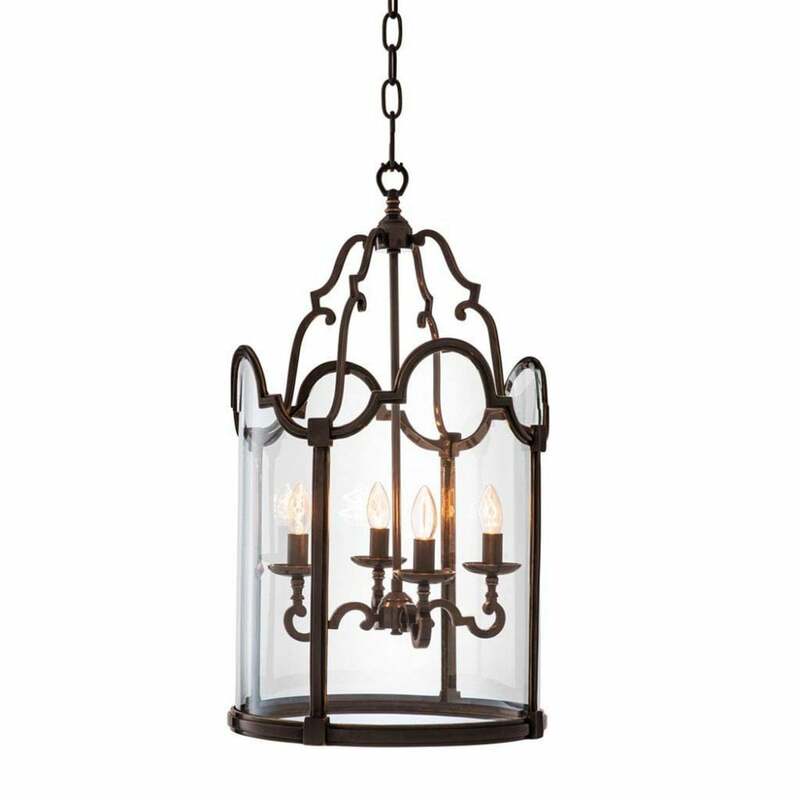 Antique inspired, the Albergo lantern from Eichholtz features an industrial gunmetal finish in brushed bronze. The burnished lantern houses four candelabra style arms which extend to four bulbs for a beautiful warming glow. The lantern extends to a hanging chain, suitable for fitting in any living space. All Eichholtz products are meticulously created, this hand-finished nature ensures that every piece is individual. Add the Alberto lantern as a striking focal point in a narrow hallway or illuminate a living space with complementary brushed metallic accessories.